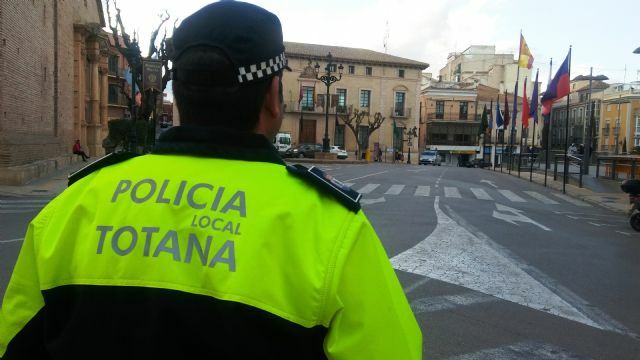 The Local Police of Totana offers a series of recommendations to drivers and pedestrians in order to ensure road safety on the occasion of the Holy Week celebrations and avoid the maximum possible inconvenience during the days of celebration of processional parades and other events liturgical events on public roads. The Local Police proposes to use the vehicle only what is essential during the days that there are acts or processional routes, and in the case of having to do so, it is recommended not to circulate through the city center (Plaza de la Constitución and surrounding areas), and use as alternative routes Juan Carlos I avenue and the northern circumvallation MU-502 V.
In addition, the same sources warn of the need to respect the prohibition of parking signs and cuts of the different urban roads, respect the instructions of the police officers and not cross the streets during the celebration of the processional routes. The cuts of the Constitution Square will be Palm Sunday (from 9:30 a.m. to 7:00 p.m.), Holy Monday (from 9:00 p.m. to 00:00 p.m.), Holy Tuesday (from 9:00 p.m. to 3:00 p.m.), Holy Wednesday (from 9:00 p.m. to 3:00 p.m.), Holy Thursday (all day), Good Friday (all day) and Easter Sunday (from 9:30 a.m. to 7:00 p.m.). Access to the area of â€‹â€‹the Arch of Las Ollerías will be cut off from 13:00 hours on Wednesday, April 17 until 12:00 hours on Saturday, April 20. The device of the Local Police and emergency personnel will be composed of a total of 25 agents per day (about 8 or 9 in each shift). For its part, Civil Protection will have five volunteers and an emergency technician in each of the processions.